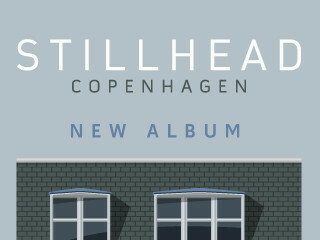 Quote: It has been 2 years since my debut album as Stillhead and I'm planning to release a second album titled "Copenhagen". A humble tribute to the Danish capital, and something of a catalogue of my time there, I'd like to present ten brand new Stillhead tracks, alongside remixes from some amazing producers. I'm planning a double CD release since I missed out on a CD version of my debut "Iceberg". I'm also planning a limited run of small artwork prints and if I get enough funding maybe a vinyl EP. Quote: Just a short update - the final mixdowns for both CDs have been sent to the amazing Bob Macc at Subvert mastering for his handiwork. That means I should have them back in a week or two. When the campaign ends I'll be able to finish the linear notes and artwork for the CDs and as soon as Bob sends me the final CD images I can get them ordered. Progress so far has been good! Almost 3/4 of the way there with just a few days left! !